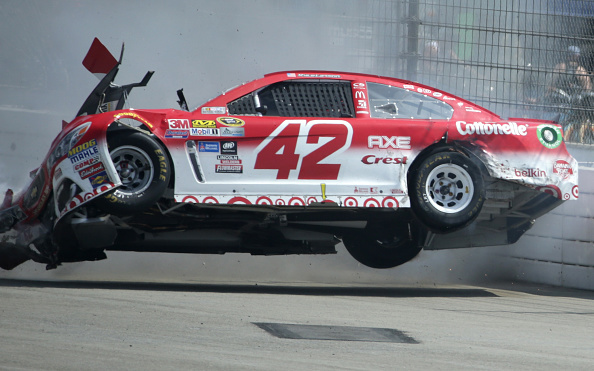 Kyle Larson crashes during the NASCAR Sprint Cup Series Auto Club 400 at Auto Club Speedway on March 20, 2016 in Fontana, California. 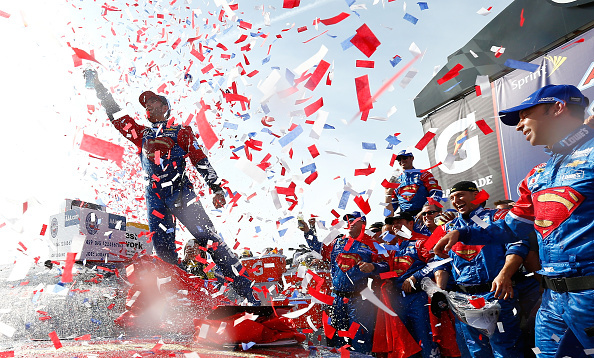 Jimmie Johnson slid by Kevin Harvick in an overtime period to win the NASCAR Auto Club 400 at Auto Club Speedway Sunday. It was a race that saw 26 lead changes and ended with Johnson celebrating his second win of the season and the 77th of his career. Here’s how it all went down Sunday in Fontana California. Austin Dillon with his second career pole led the field to green, but by the time the field exited turn 2, second place starter Kevin Harvick had the lead and was pulling away. Carl Edwards and Dillon were fighting for second with Edwards getting the spot by lap 3; Dillon was third, Denny Hamlin fourth and Ryan Newman fifth. 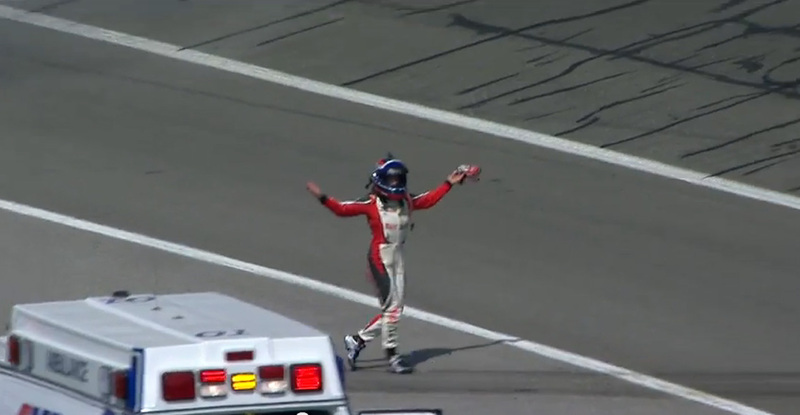 Kyle Busch got fifth from Newman on lap 4 as up front Edwards was gaining on Harvick for the lead.